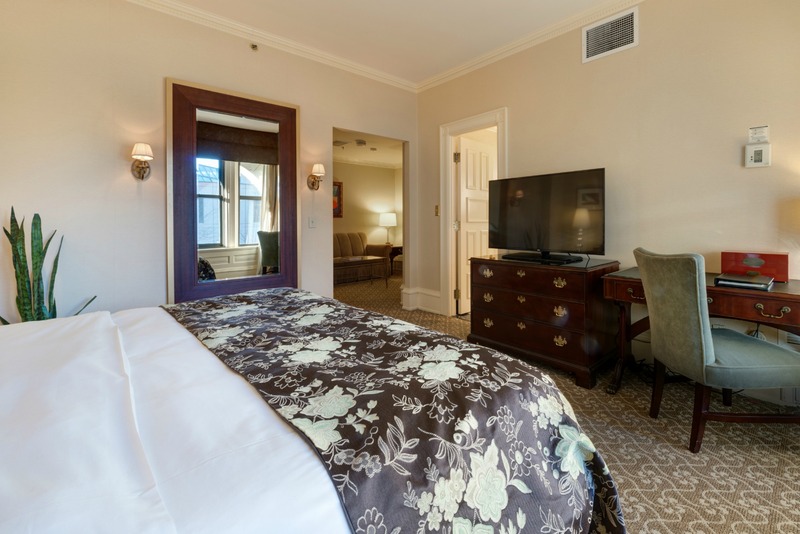 Grand elegance and historic tradition in Milwaukee′s premier hotel. Guarantee Policy: A valid Credit Card is required to confirm your reservation. Cancellation Policy: Guest room reservations can be cancelled without penalty until 3:00 PM CST two (2) days prior to your scheduled arrival. After that time, a cancellation charge applies equal to one night's room rate. 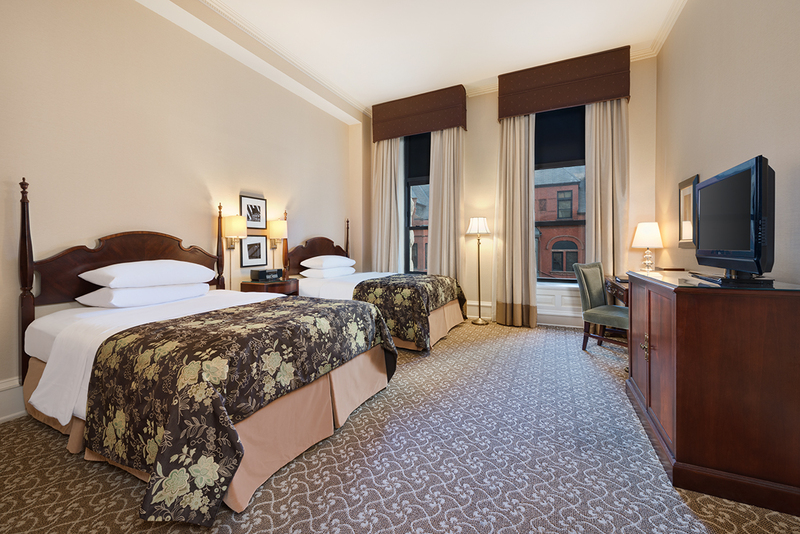 The Pfister Rooms are our deluxe rooms located in the historic section of our hotel, which maintains the elegance and luxury of when it was first built in 1893. Bathrooms feature marble walk-in showers with exquisite Grohe fixtures and separate commode stalls for added privacy. Panoramic views of the city landscape are a highlight of the naturally lit home-away-from-home. A luxurious palette of pearl, black, silver and chrome make the perfect canvas for all of the modern day luxuries any discerning guest could expect in the historic and regal atmosphere of The Pfister. The Pfister King Suite are our suites in the historical section of our hotel. Each suite consists of two rooms: a parlor which functions as a sitting room and a bedroom with one king bed. Additionally there is a pull out sofa sleeper in the parlor room. 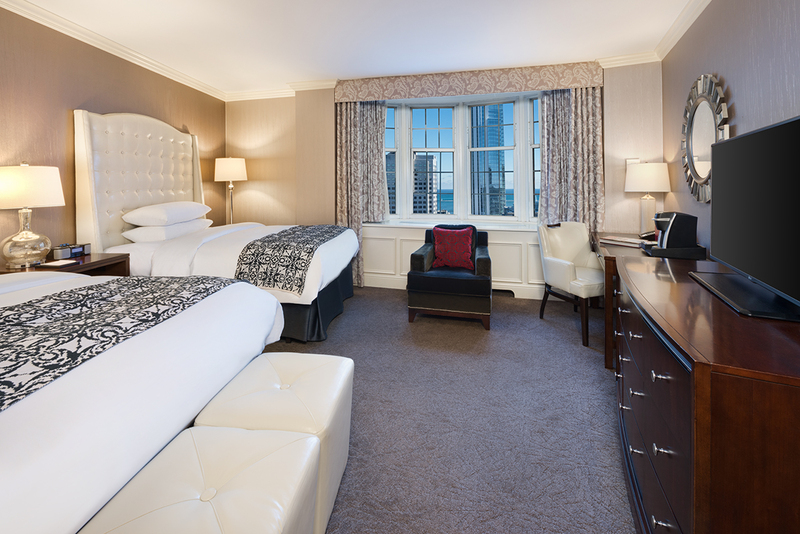 Panoramic views of Lake Michigan and the city landscape are a highlight to our new Tower Rooms. 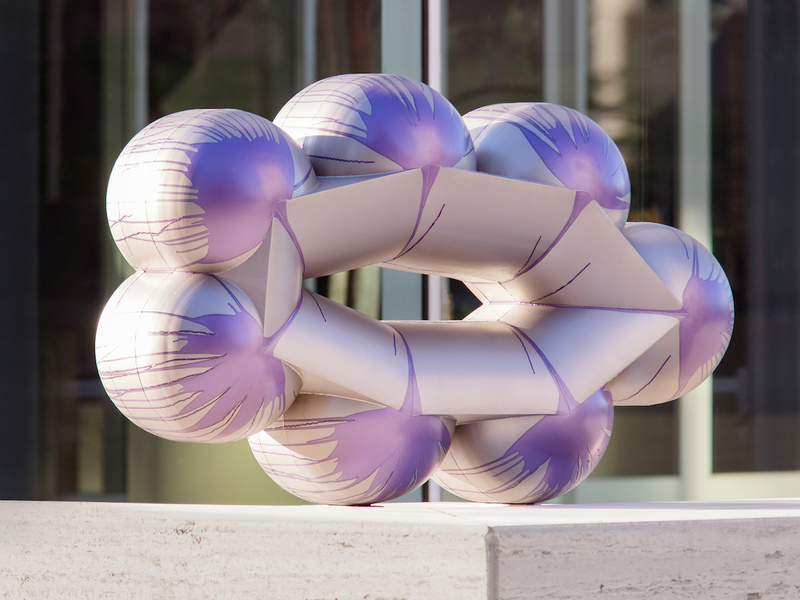 A luxurious palette of pearl, black, silver and chrome make the prefect canvas for all the modern day luxuries any discerning guest would expect in the historic and regal atmosphere of the Pfister Hotel. Club rooms ar our premier guest rooms located betwee the 18th and 21st floors of the alluring tower section of the hotel. 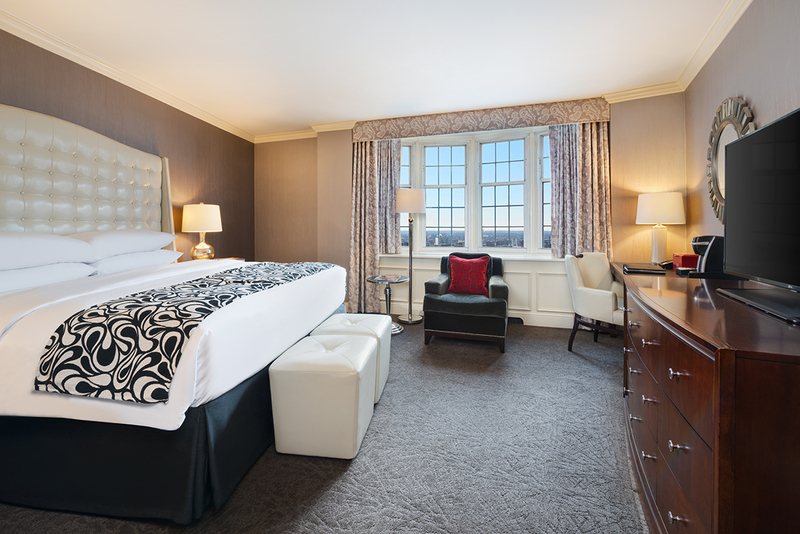 Club rooms include exclusive, keycard access to the Pfister Club Lounge on the 23rd floor. 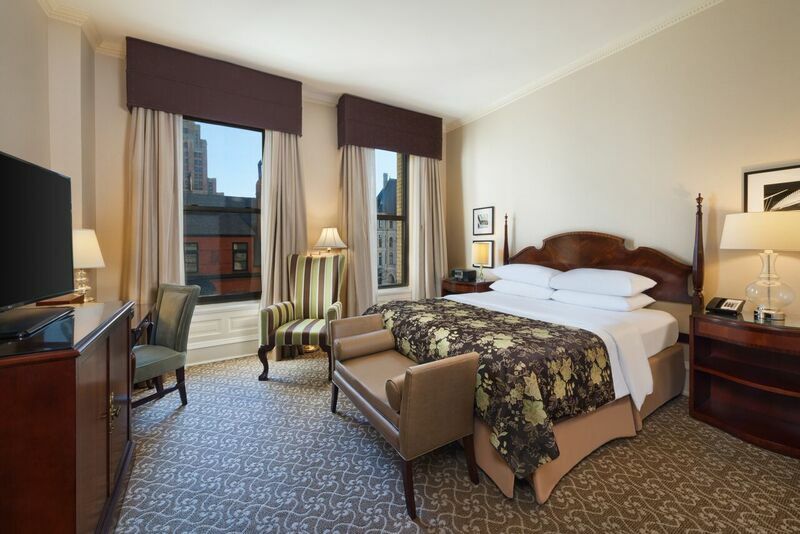 The Pfister Double Suites are our suites in the historical section of our hotel. 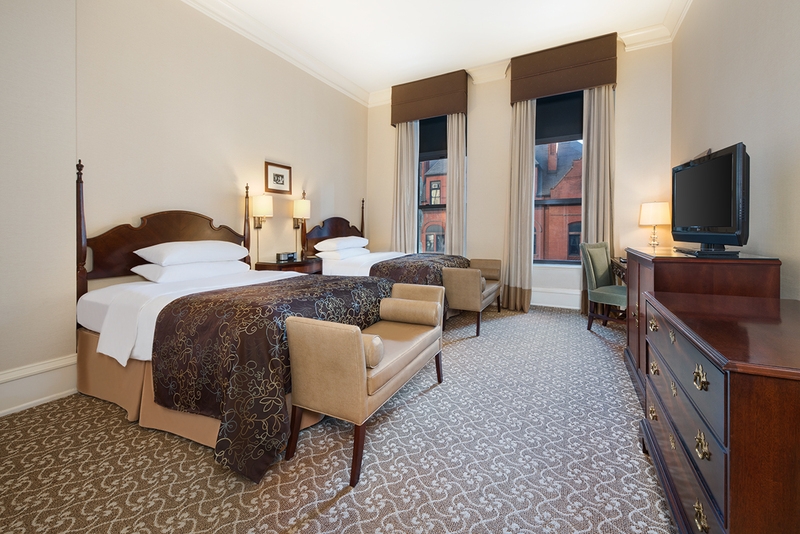 Each suite consists of two rooms: a parlor which functions as a sitting room and a bedroom with two queen beds. Additionally there is a pull out sofa sleeper in the parlor room.